How do I set up the SXFI AIR C for Windows & Mac OS? 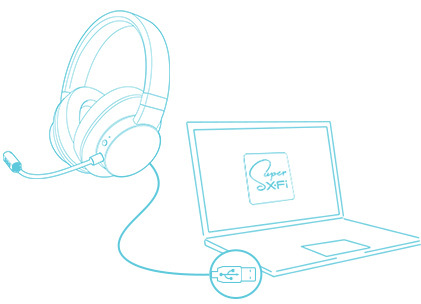 Connect the SXFI AIR C to your PC or Mac via the included micro USB cable. Your personalized Super X-Fi listening profile will be loaded to your SXFI AIR C.
*The SXFI Control software will be available for Windows by December 2018 and for macOS by the 1st quarter of 2019.